Last Friday, MAC launched a new lipstick which Nicki Minaj had personally designed, to celebrate the launch of her new album, Pink Friday. The limited edition lipstick is only available to buy from Selfridges, or Mac.com, and can only be bought on Fridays while stocks last. 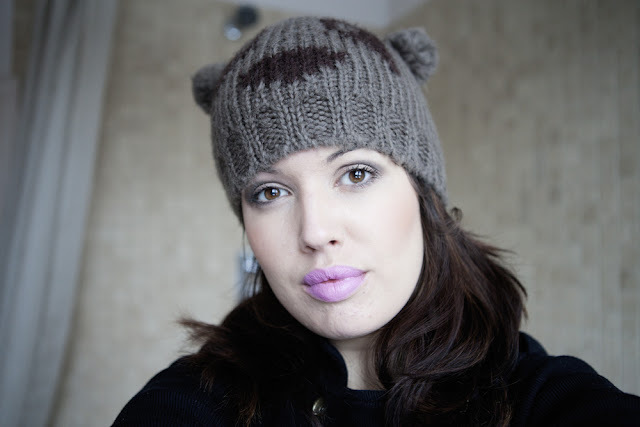 I do love a bright pink lipstick, and seeing as it was limited edition it made me want it even more, so had to buy it as a little 'happy Christmas to me'! It arrived this morning wrapped in gorgeous Christmas paper courtesy of Selfridges, so I swatched it straight away. Excuse the hat, I'm rather cold! 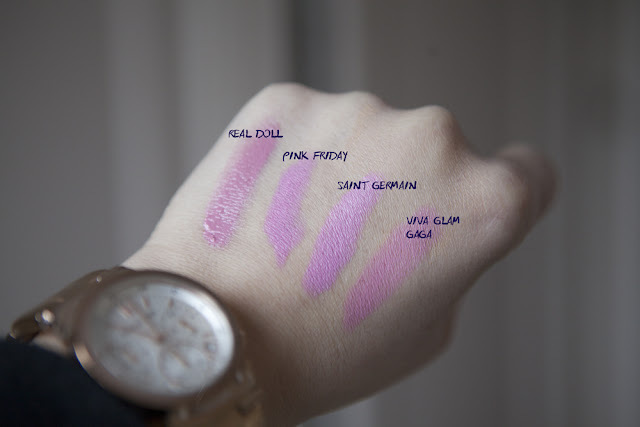 I swatched it on my hand next to a few other MAC lipsticks I have similar in shade. It is very bright and although it's a Satin finish, it's rather like the Saint Germain (which is Amplified) in it's finish. It's creamy and although it's more fushia compared to the others I've swatched on my hand, it seems to have a blue tone to it. I think it will look great with a smoky eye for a night out on the town, so shall give it a try this weekend... Friday infact! 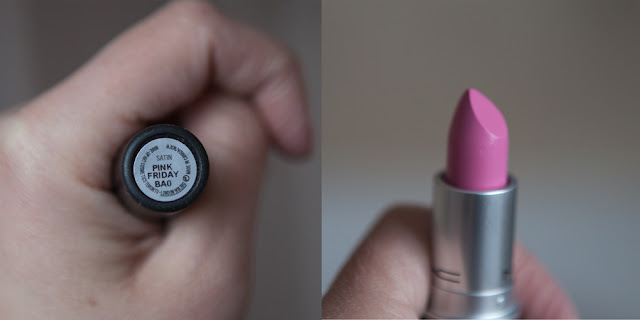 Ive bought the lipstick Xd and i think its a really nice colour! It looks great on you, but I didn't get it as it would look so wrong on me.